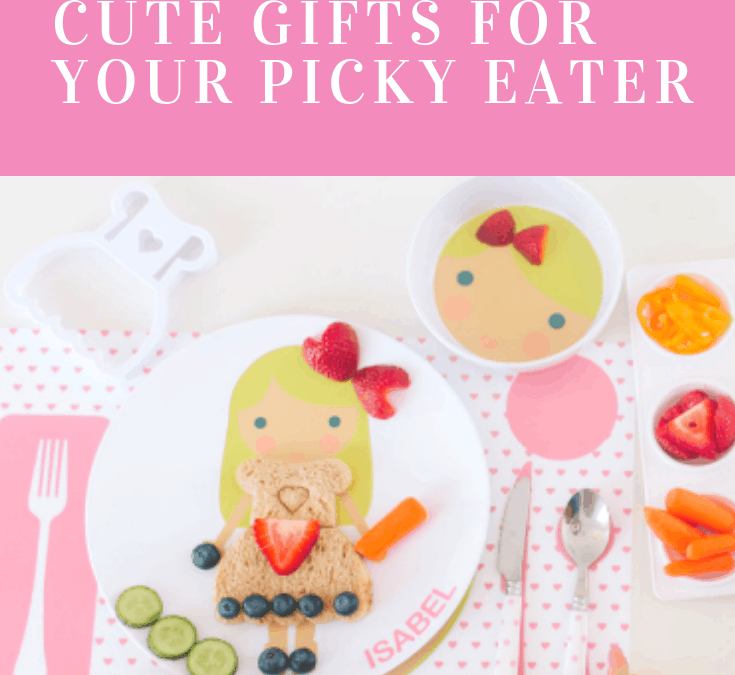 Got a little picky eater or know someone who is? The little one that tells you he’s full and then ask for a snack 2 seconds later? The little one who constantly gets out of his chair because he says eating is not fun? The child that says he won’t eat anything that is green? I have one of those. Mealtime can be a real bummer with a child who doesn’t like to eat. Below are some awesome gifts to promote a more fun and enjoyable meal time for the entire family. This is great if you want to let your kid explore new food in small quantities without feeling overwhelmed. Also comes in other options: enchanted forest, dinosaurs, or superheros. 2. 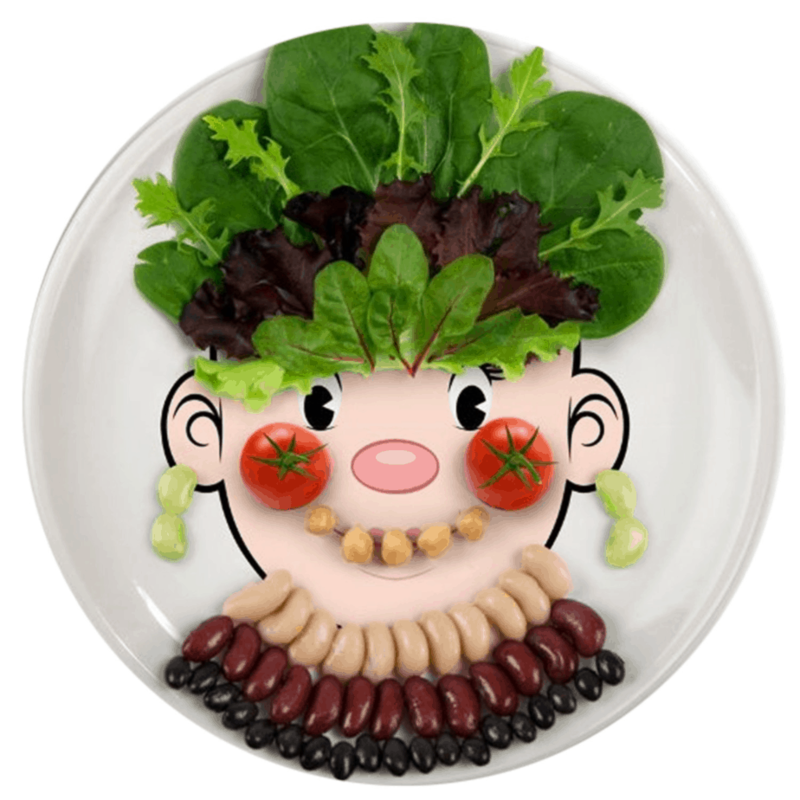 Funny Face plate – The face plate is hysterical. I can imagine the countless hours that will be spent making tons of silly faces. This is another cool way of letting your child play with food in order to get comfortable with the texture before actually attempting to try and eat it. The only problem I see is that your child might be spending too much time creating all the funny faces instead of eating it. Hey, if it’s gets them to actually eat all those beans in the future then play away. Highly recommend for eating at home not in restaurants! 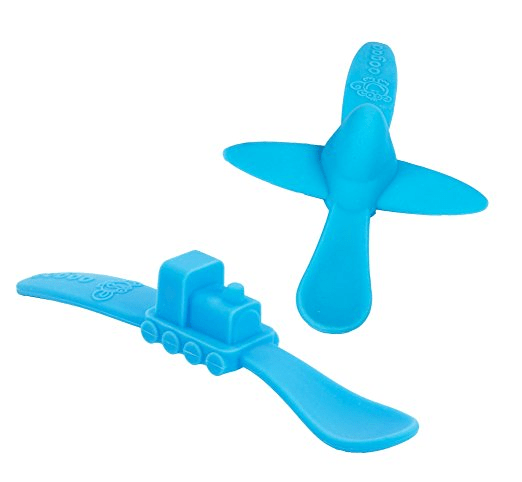 3.OOGA plane spoon – If your child is anything like mine, he will love this plane spoon and train. He will try and fly or ride whatever is on the spoon around…hopefully it’s into his mouth and not so much on the floor. 4. 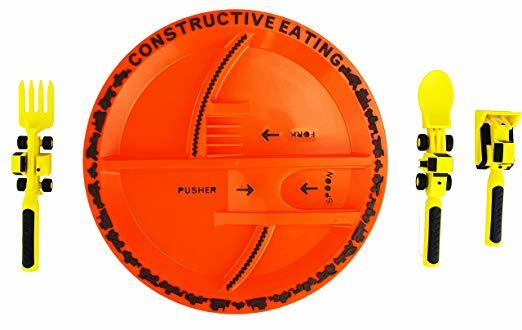 Construction vehicle eating utensils – Another fun eating utensils. I LOVE this set. Makes me want to buy one for myself. 5. 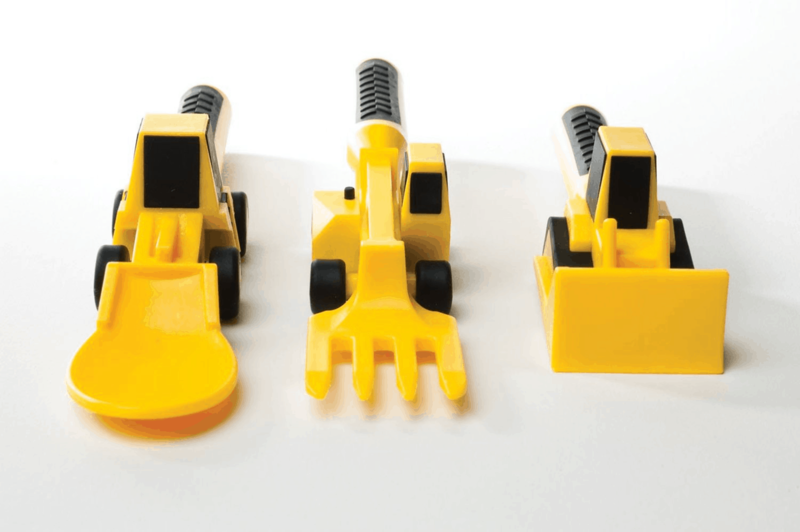 Chuboos Vegetable cutter – Whose little kiddo loves veggies?! Not mine. Hopefully these cute little vegetables cutter will get him to get more vegetables. 6. Taco Truck Taco Holder – OK. This is the cutest thing ever. A taco truck that holds tacos. 7. 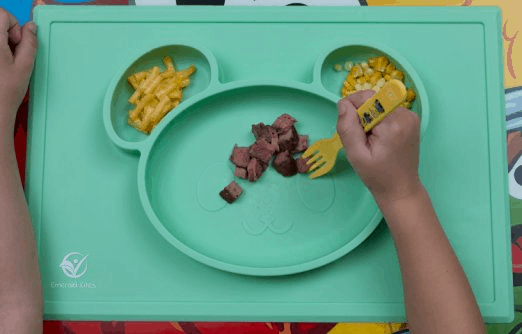 Mess-Less Silicone Place Mat – Place mat and dish all in one. Less things to clean. Comes in different characters. 8. 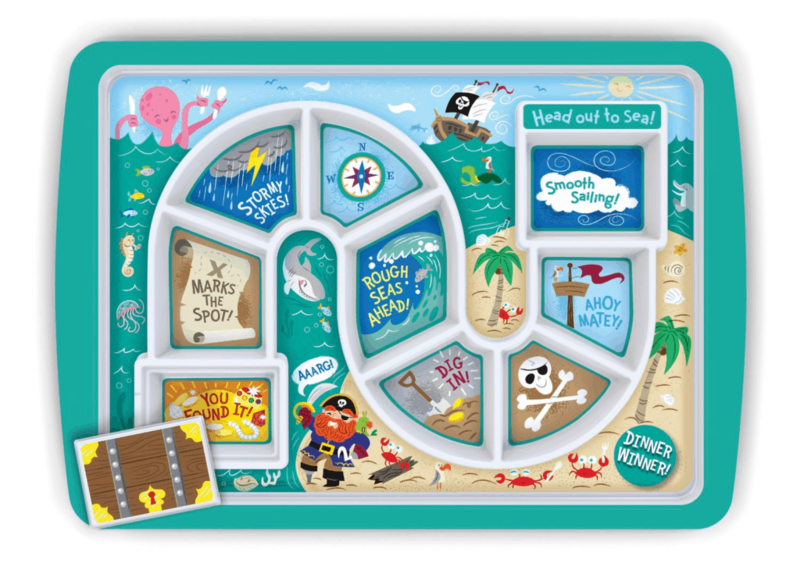 Train Place Setting – This one is a great surprise for your kid. Is it a train or something more? The train comes apart to become a bowl, a cup, a plate and fork and spoon. It would be fun to take apart and put together again. 9. 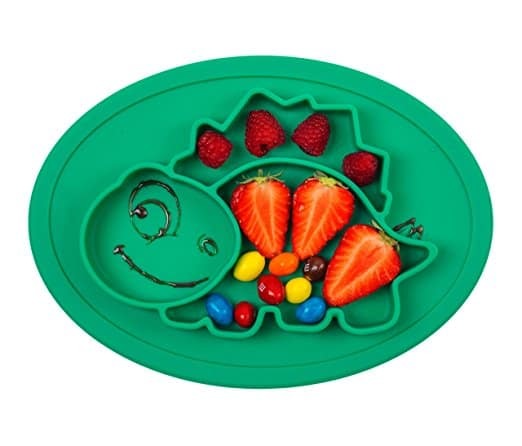 Dinosaur silicone Place setting – Similar to the Mess-Less Silicone Place Mat, but for the dinosaur lovers. 10. 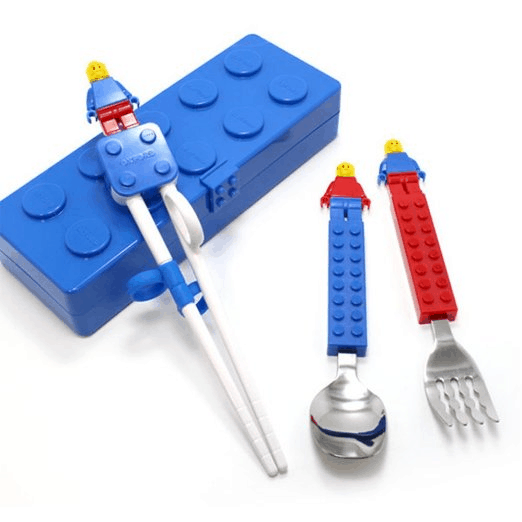 Brick Figure utensils and case – This cute little utensil case contains training chopsticks, fork and spoon. Great for the Brick lovers. 11. 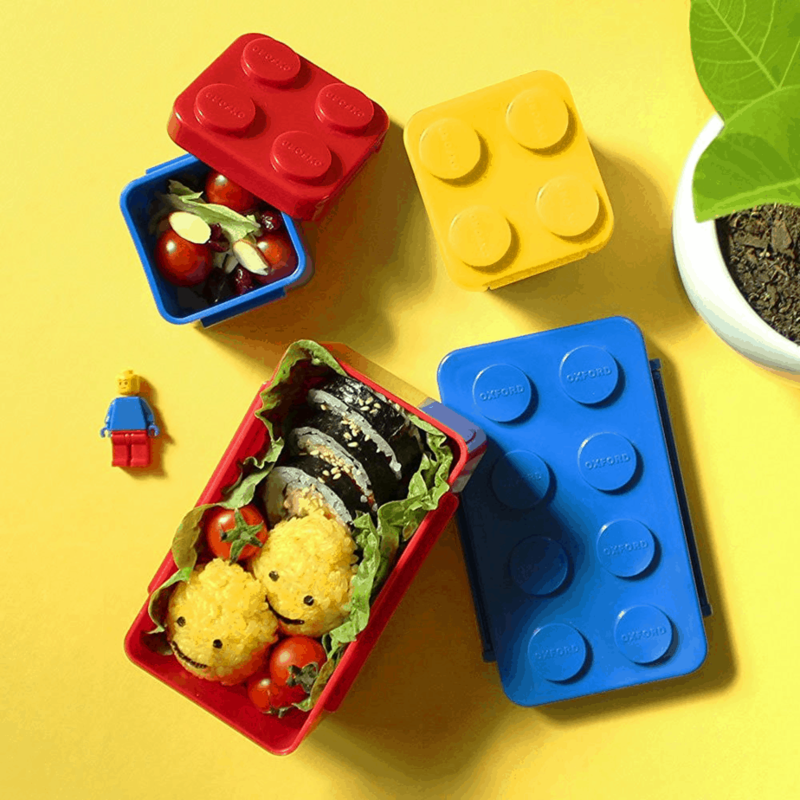 Brick Bento Lunch Boxes – These Brick Bento lunch boxes would be a great addition for any brick lover along with the Brick figure utensils. The little boxes connects to the lunch box just like real brick pieces. 12. 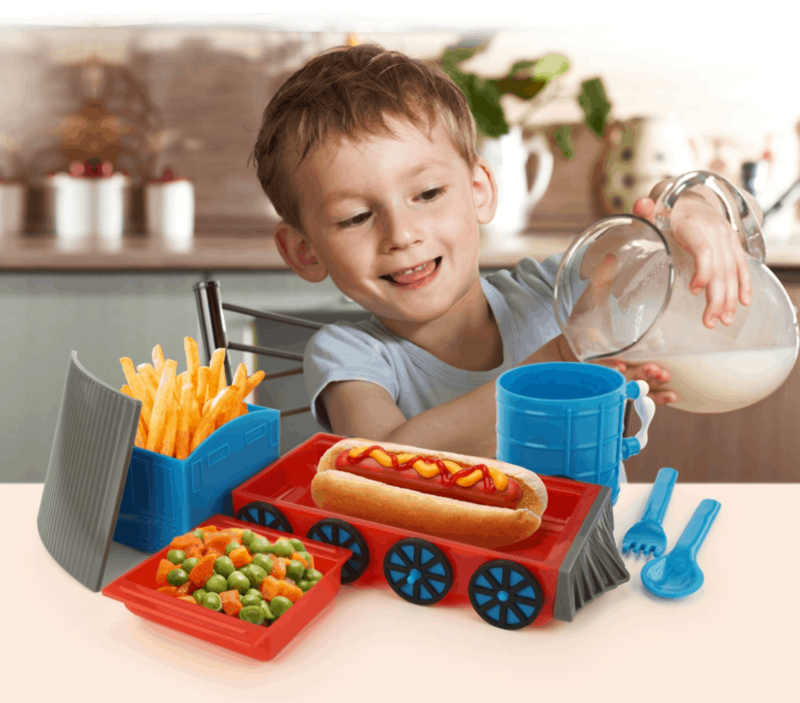 Construction Dining set – Have your kids maneuver their utensils around for a fun meal. 13. 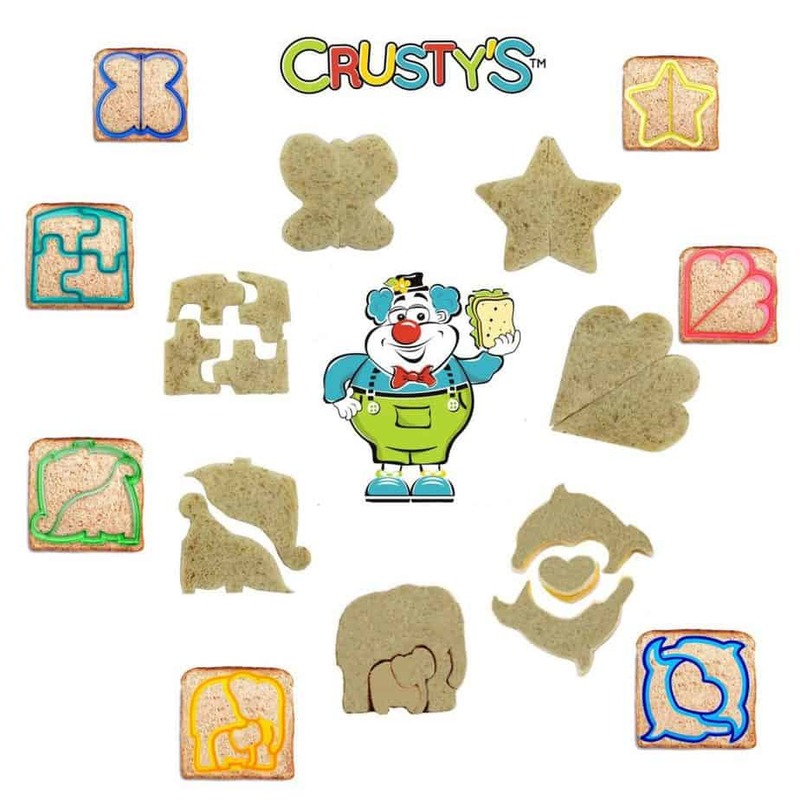 Sandwich cutters – Transform plain sandwiches into pretty work of art that will be super fun to eat! 14. 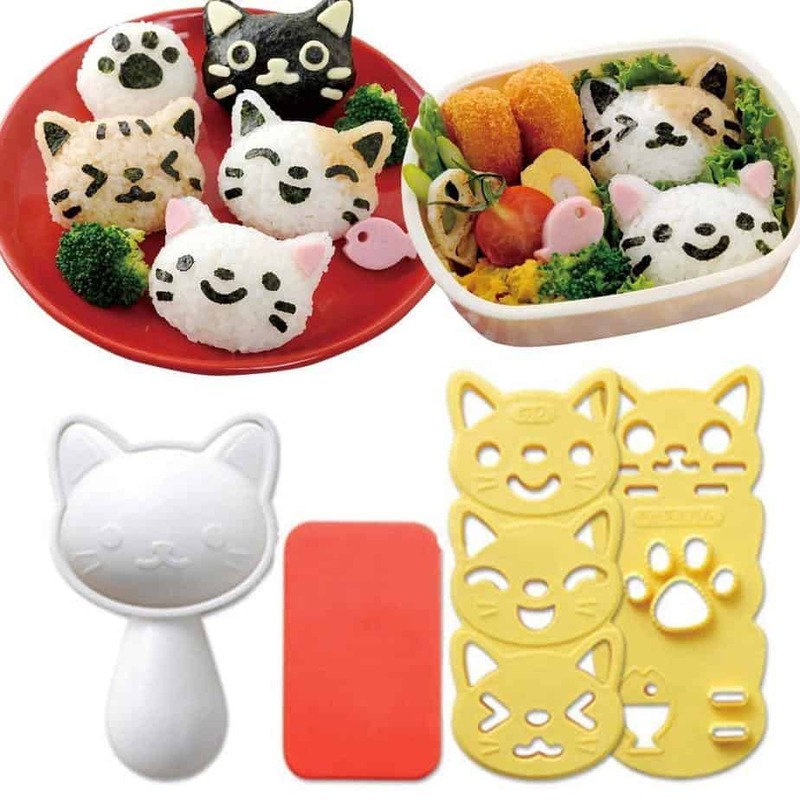 Rice Ball Mold – If your kids love rice, mix in some veggies and proteins and then turn them into adorable kitties. 15. Poop emoji cookie cutter – This is perfect for the kid who loves bathroom talk, like mine. 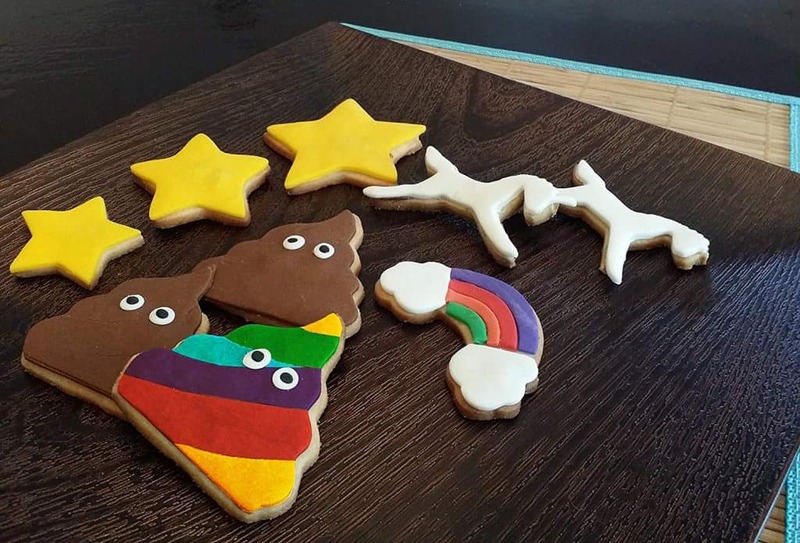 If you can’t stop them, make them poop emoji cookies. 16. 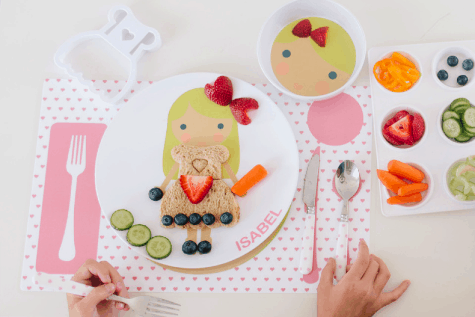 Personalized Little Me Dress up Plate – This plate is super fun. You can create a likeness of your kid by personalizing the hair to skin tone. You can even add eyeglasses or freckles. The plate can be used alone or with the dress cutter to cut out bread, cheese, or anything for more fun. 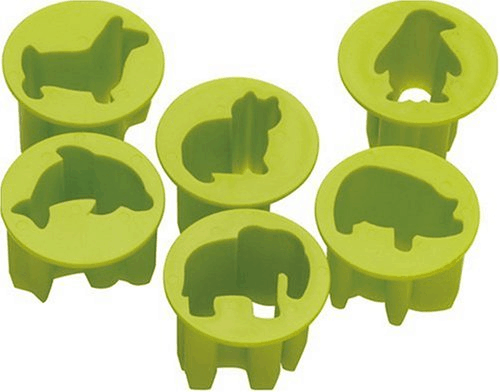 Do you have something special that you use to get your kids to eat their meals? Share with us in the comments.